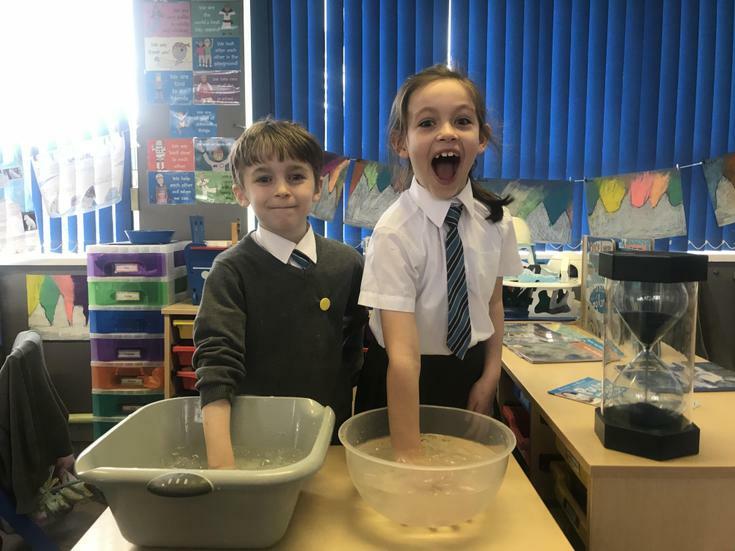 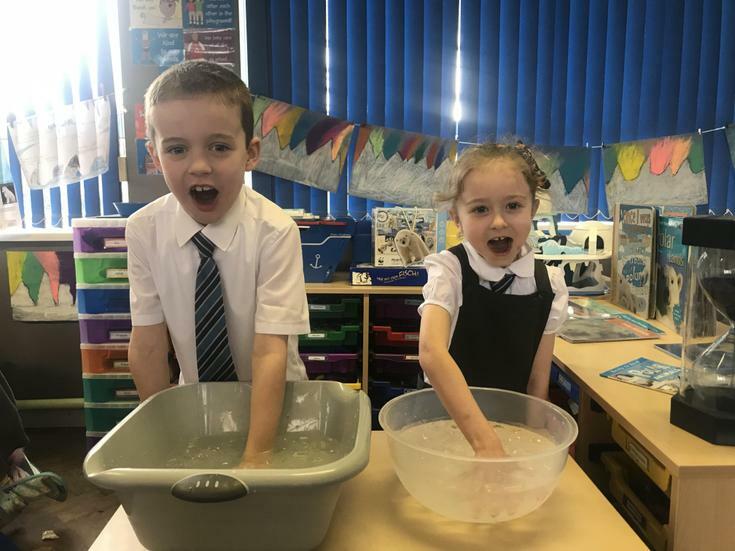 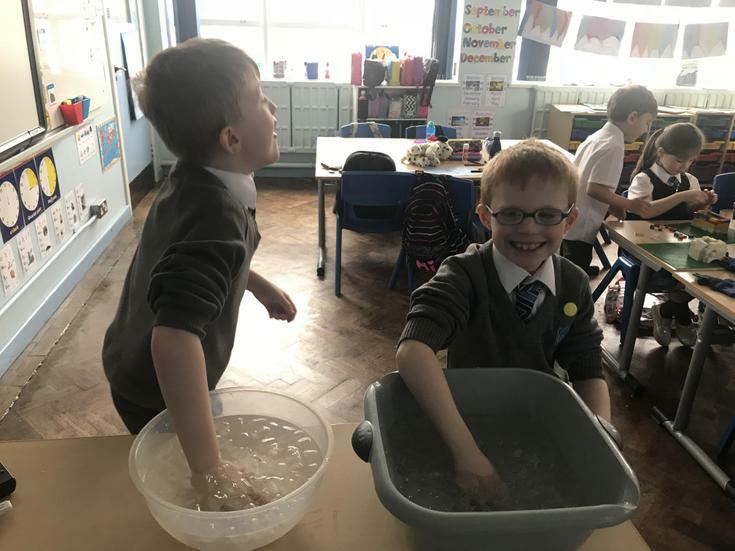 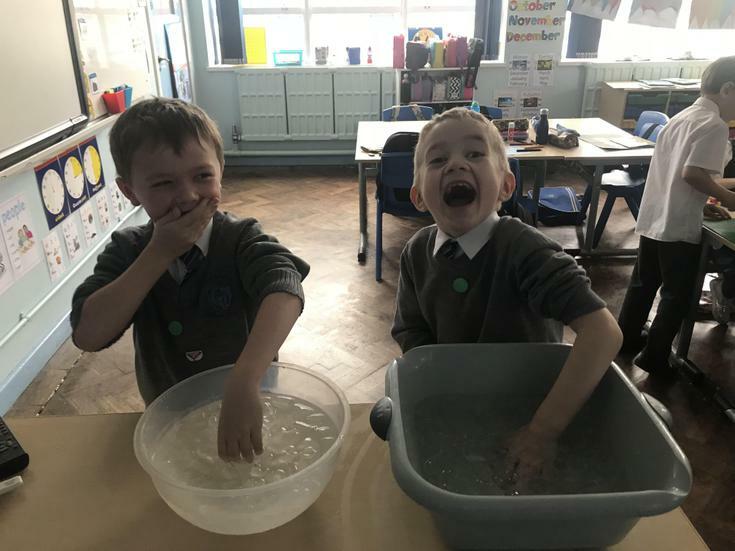 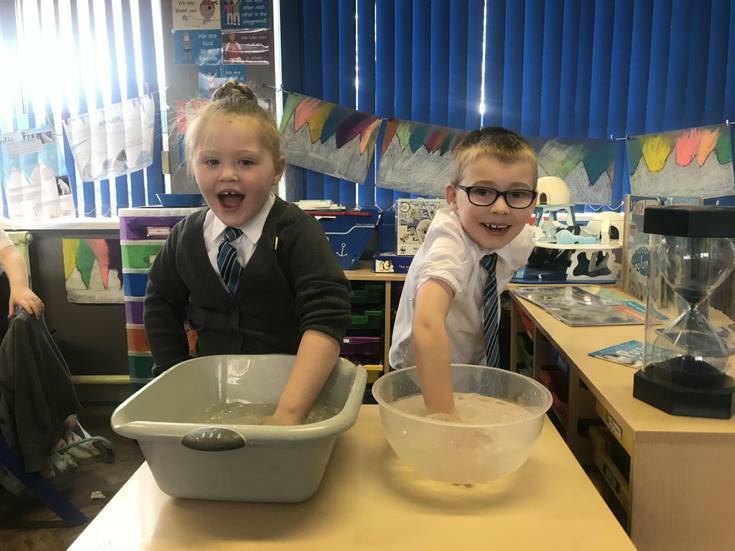 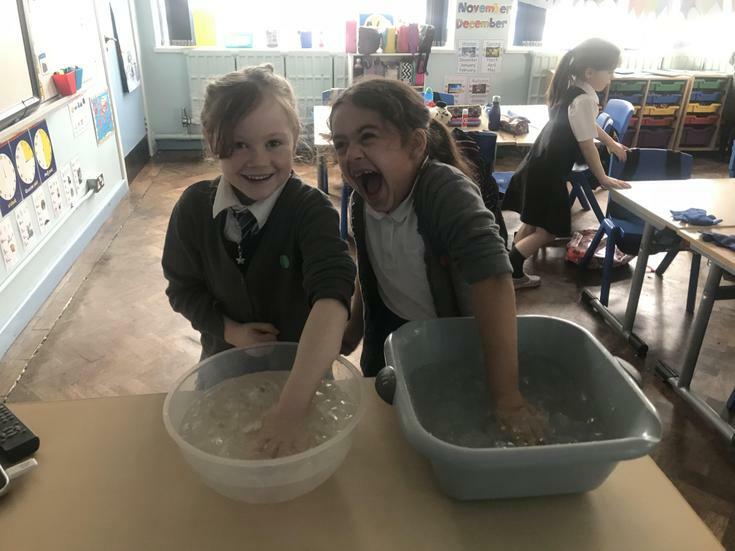 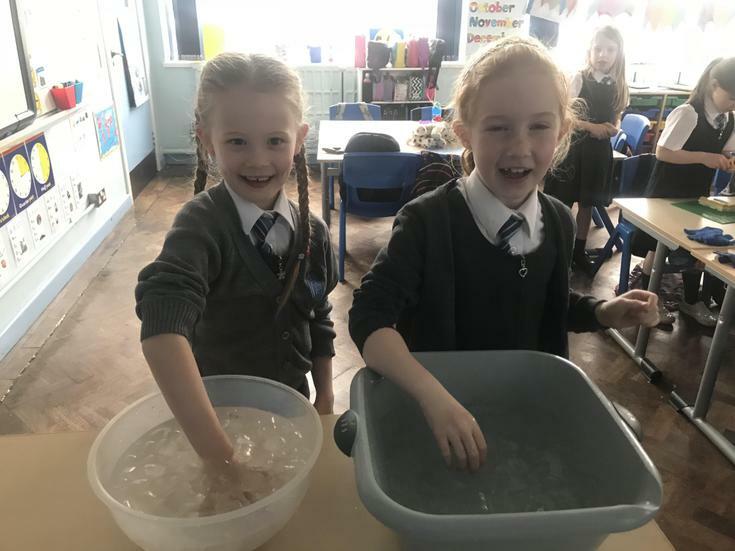 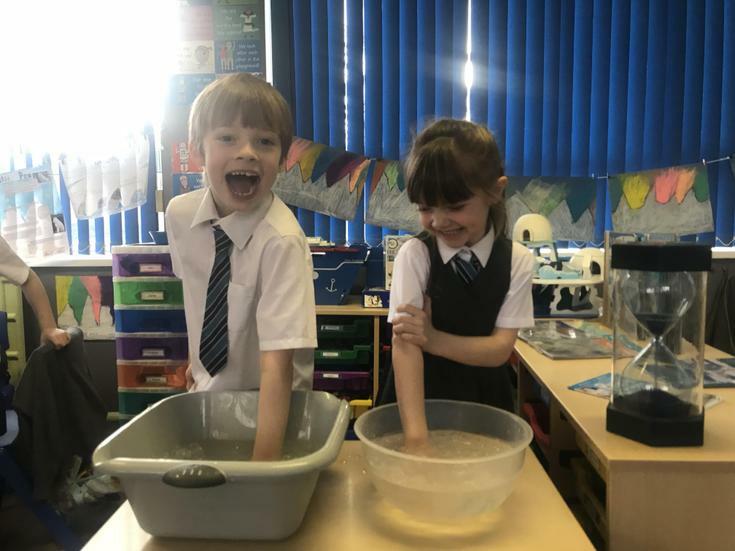 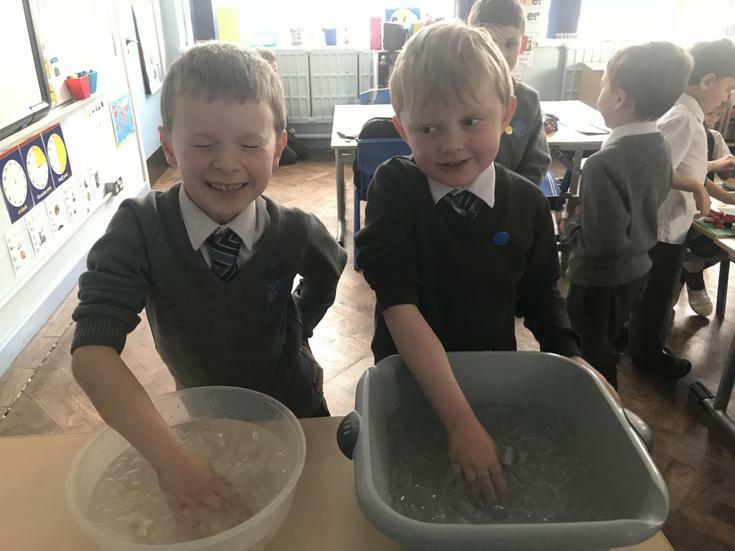 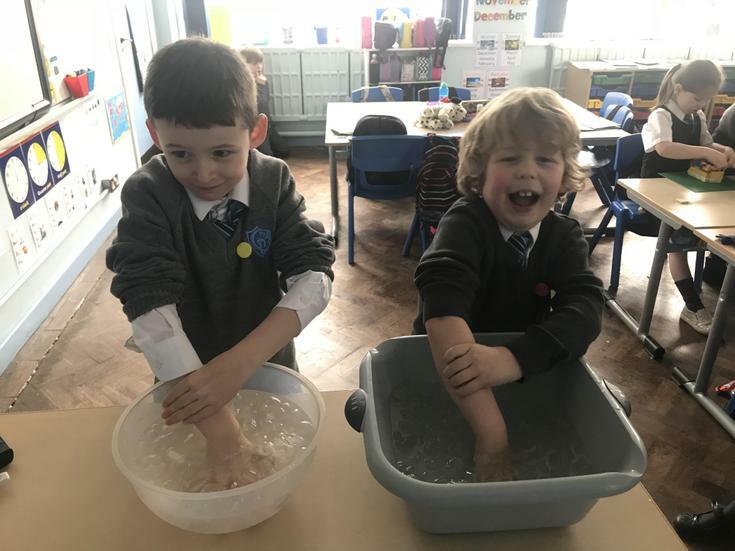 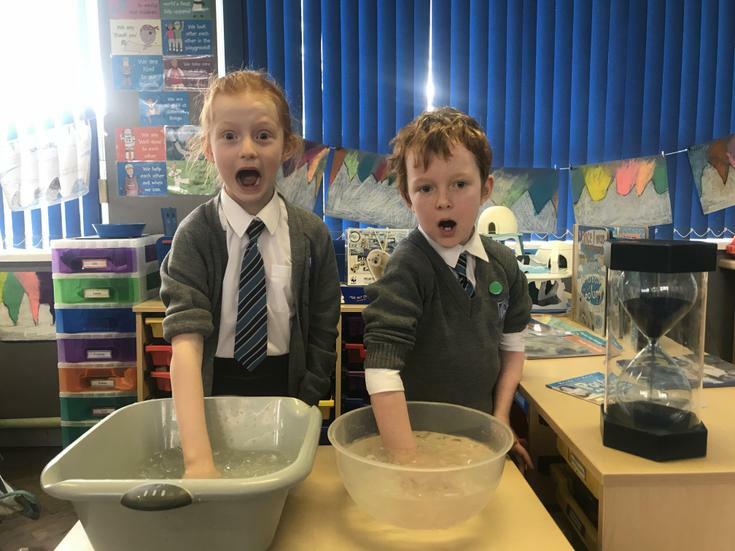 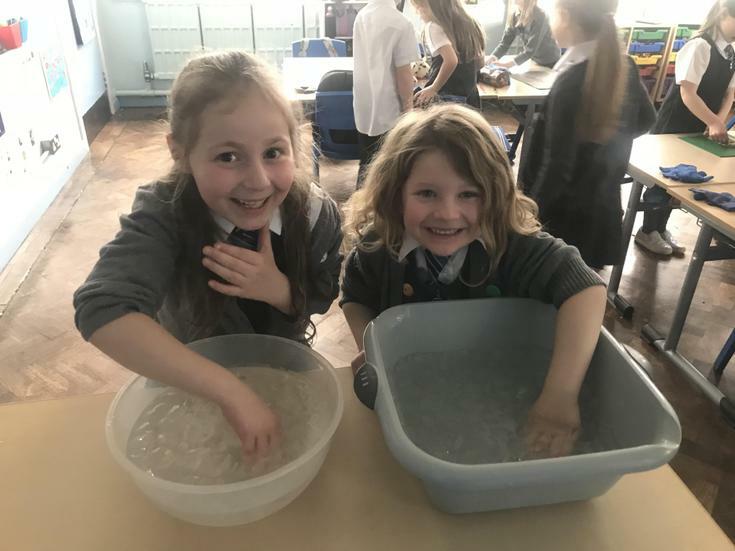 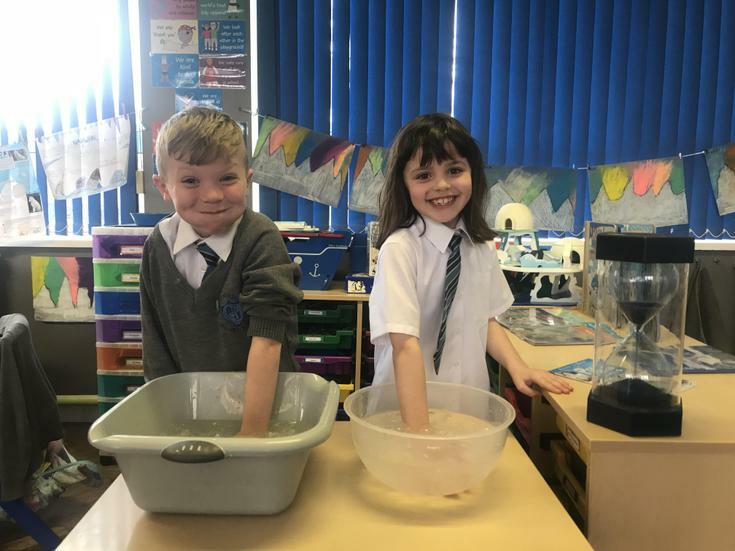 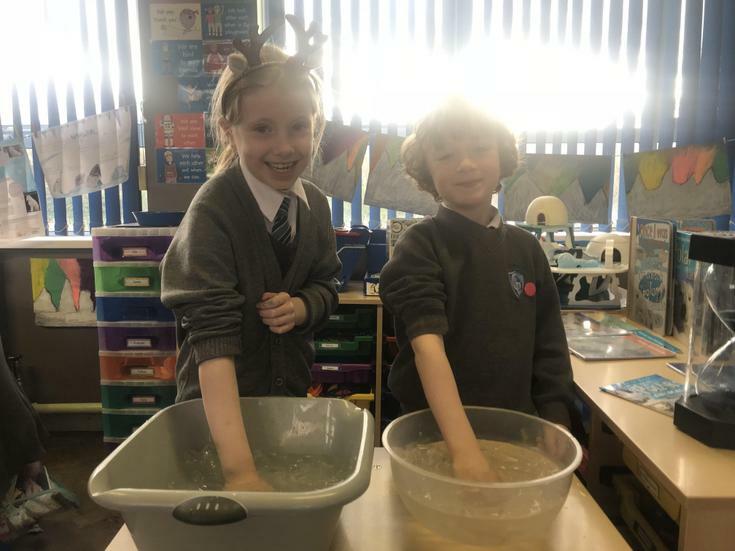 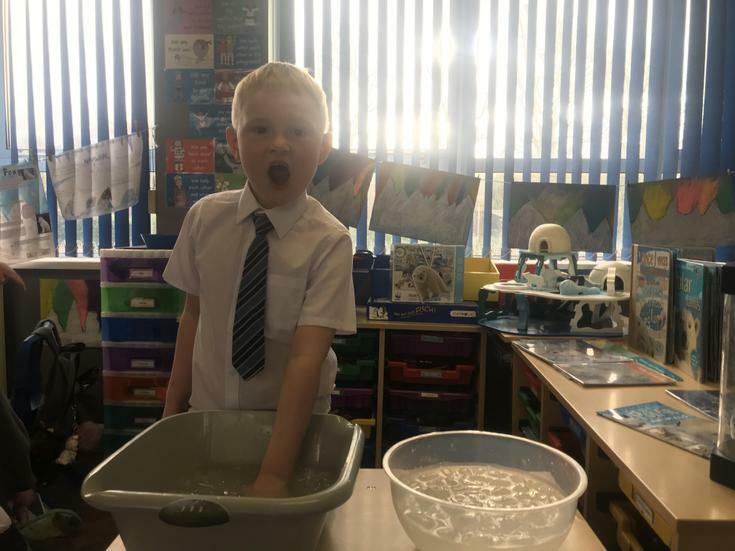 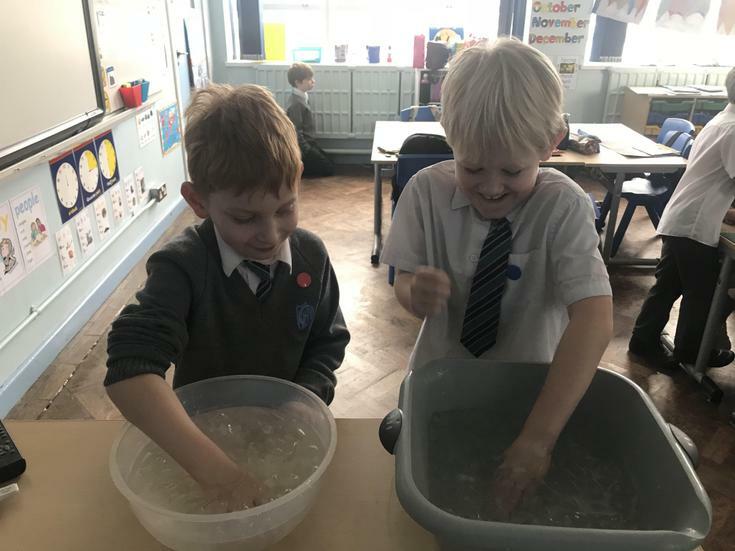 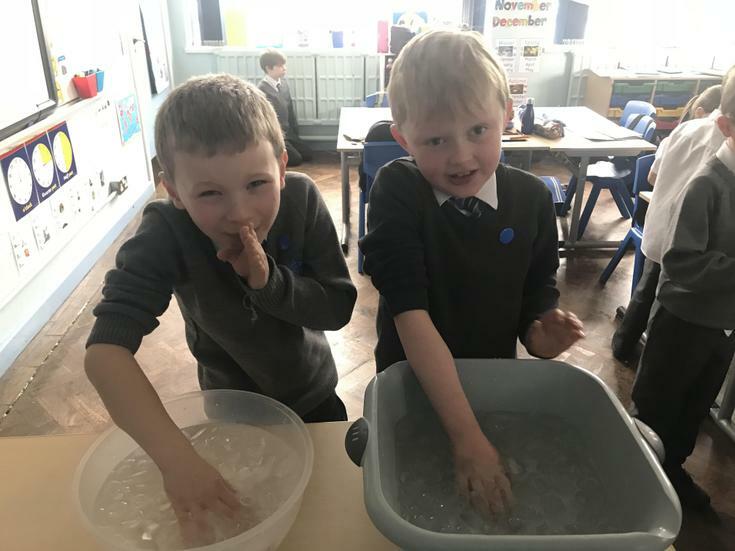 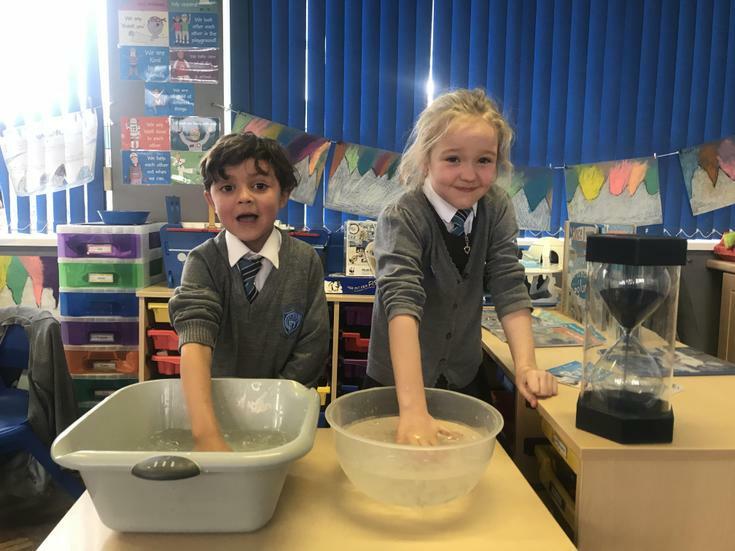 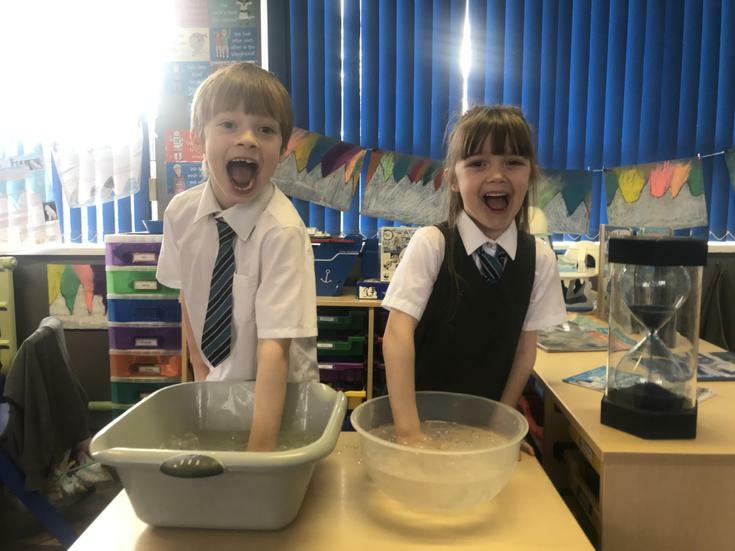 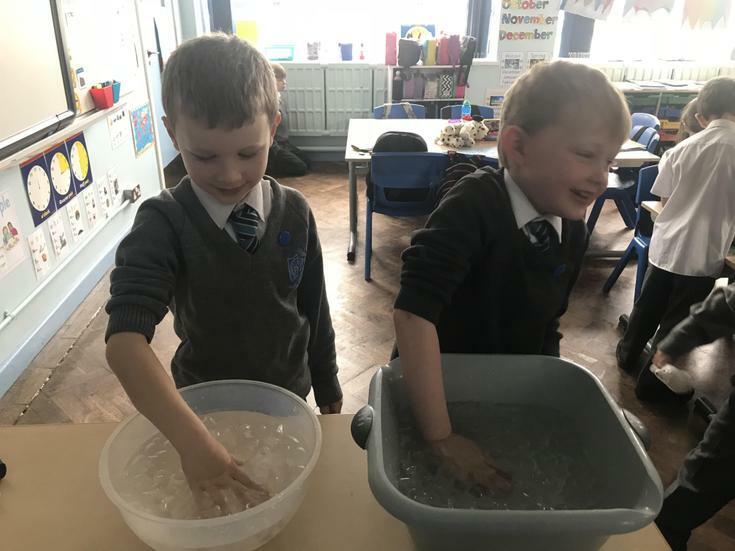 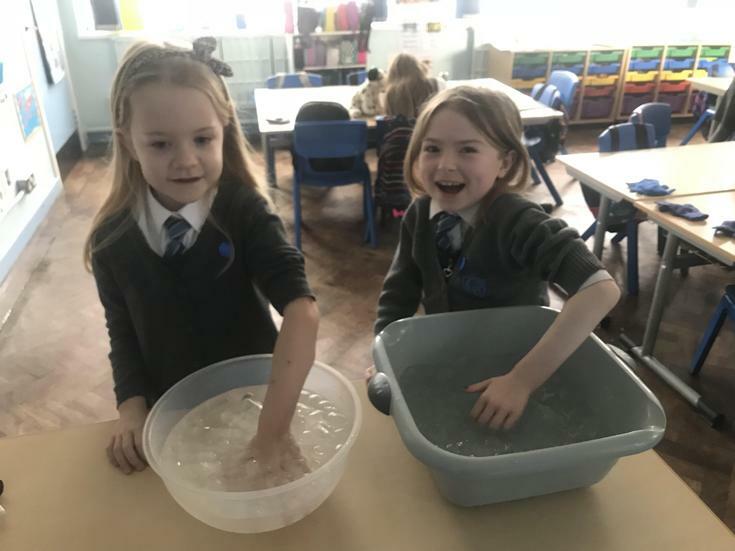 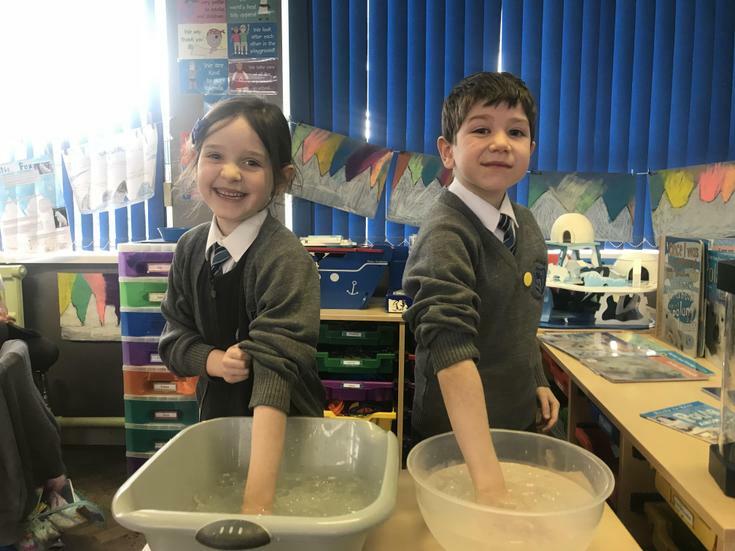 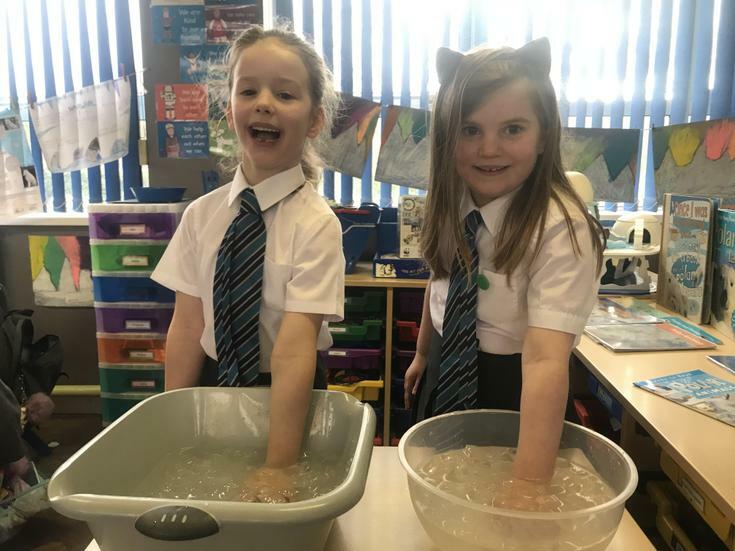 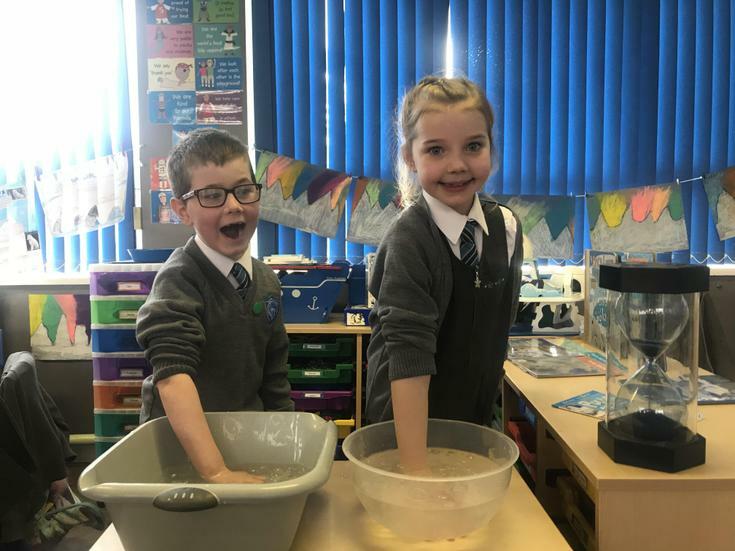 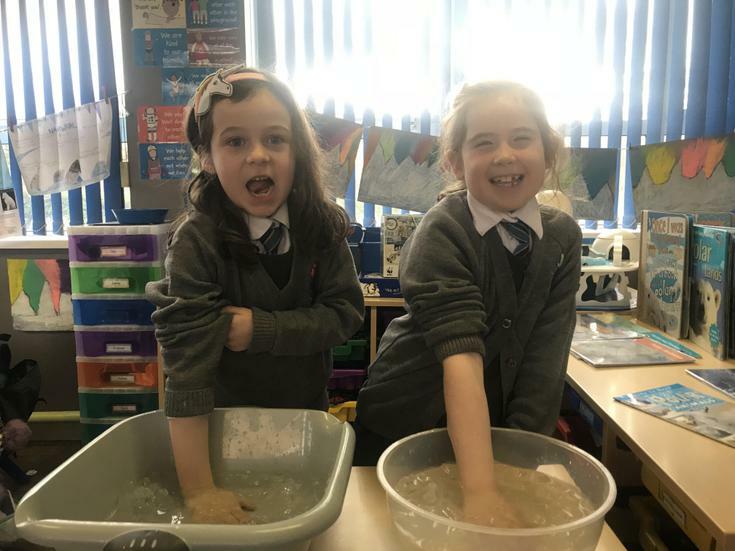 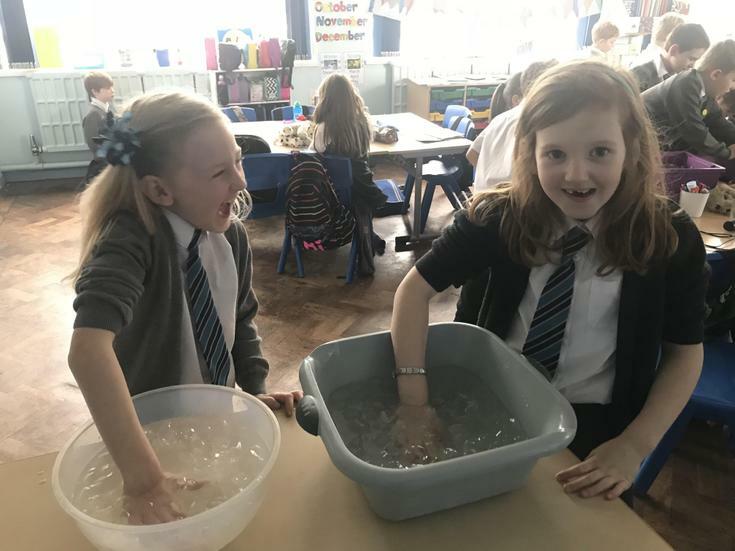 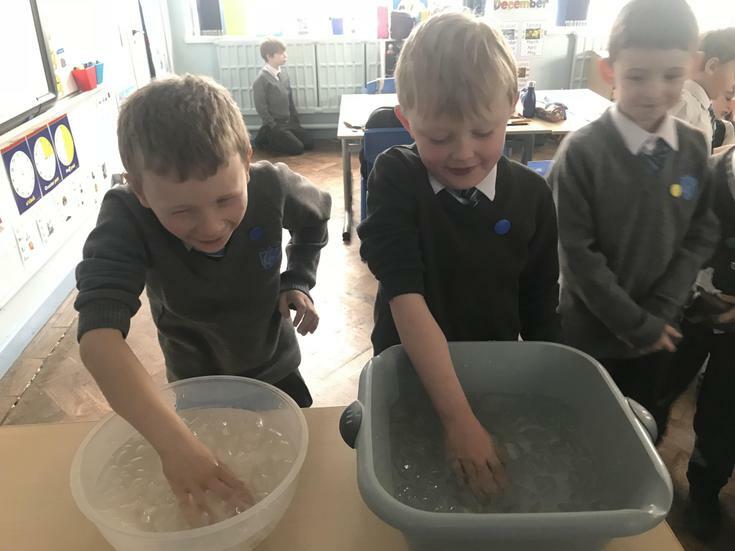 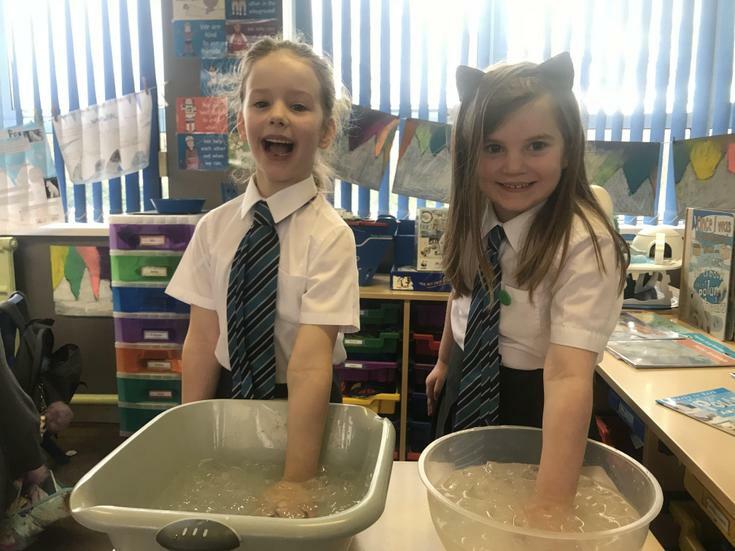 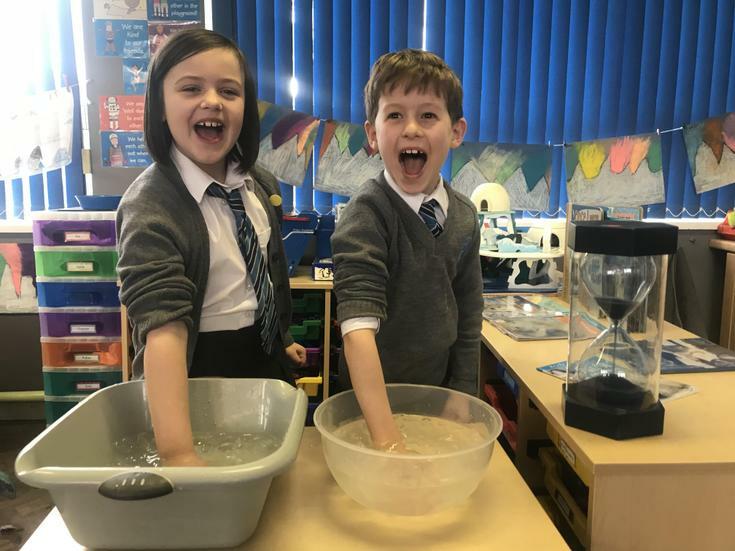 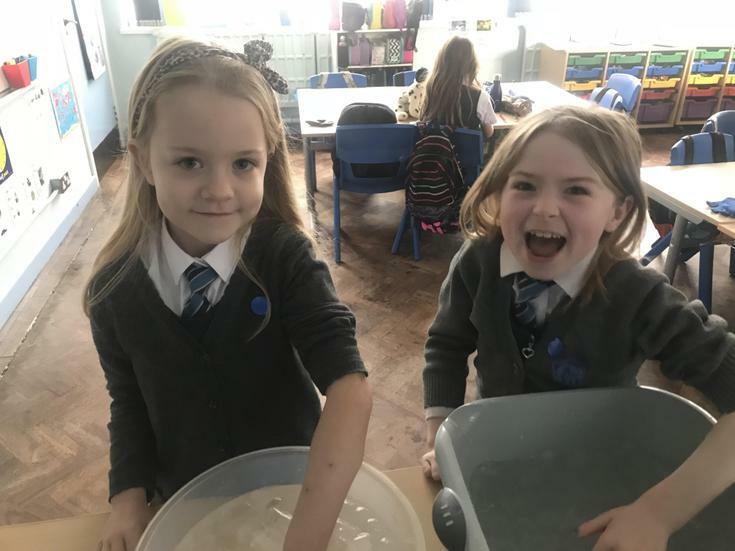 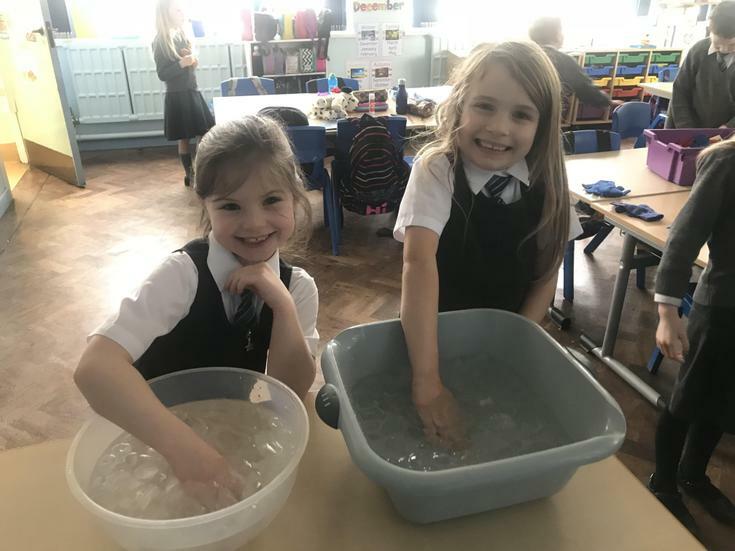 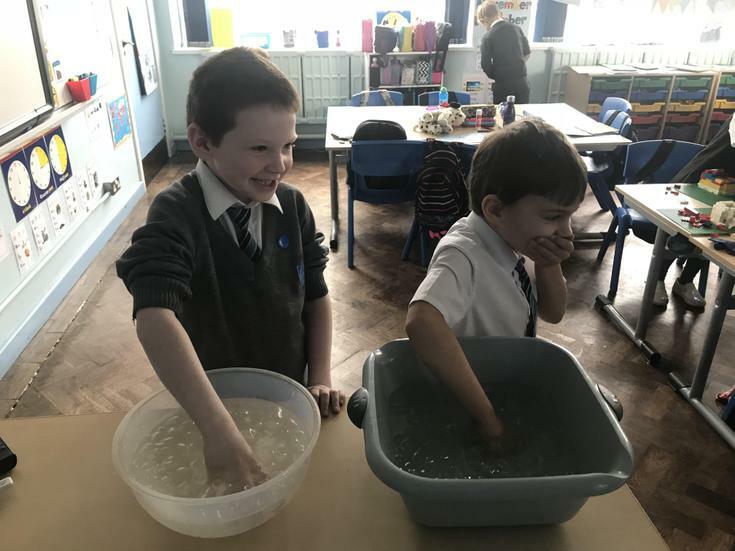 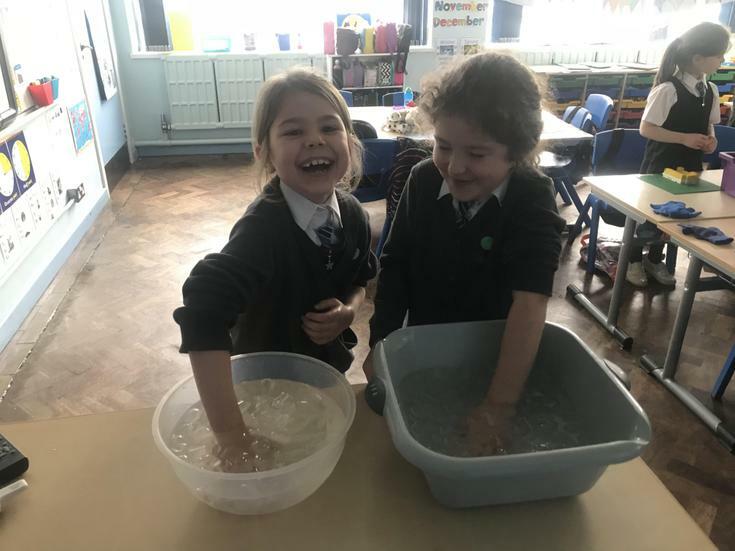 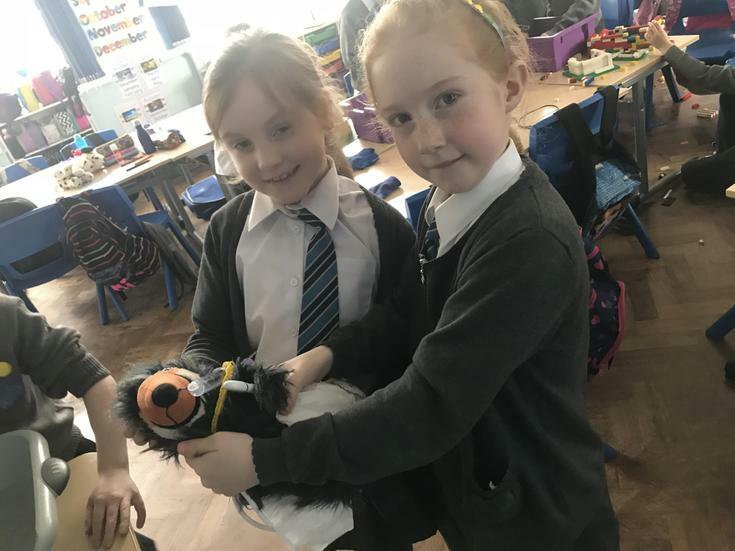 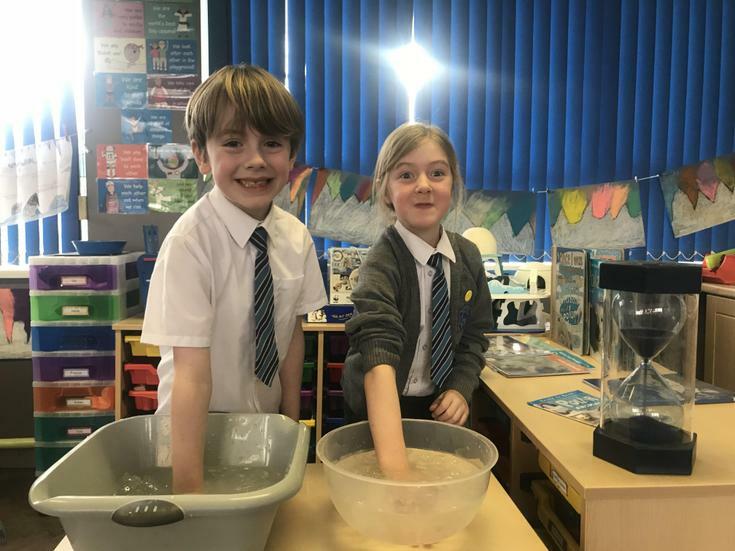 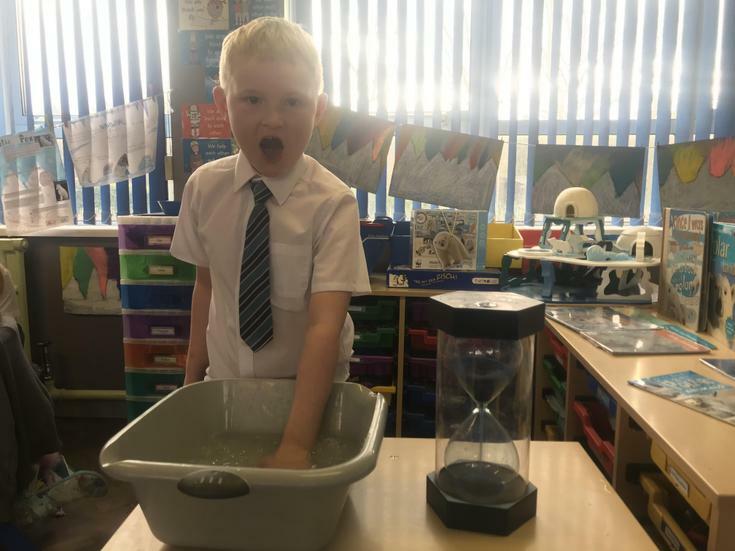 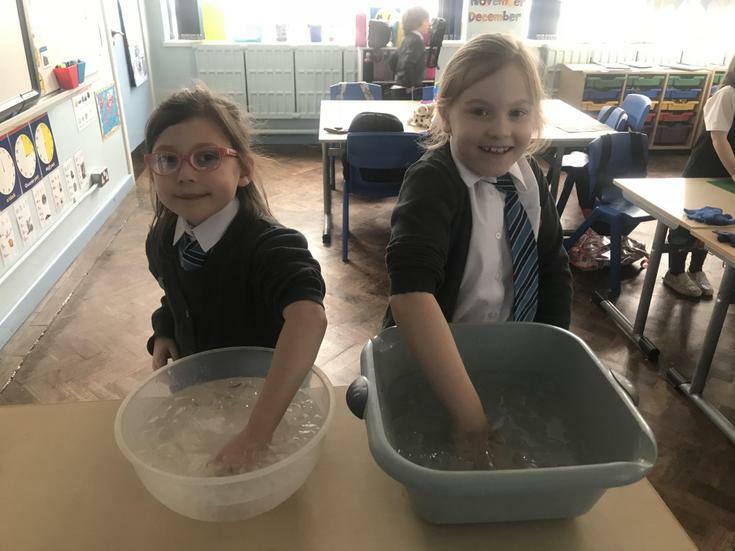 As part of our Arctic topic we wanted to get an idea of how cold the sea might be in the Arctic. 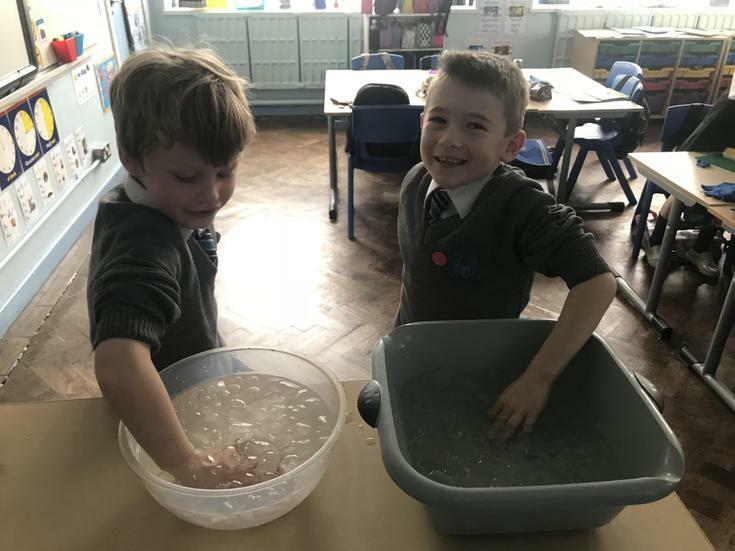 We filled bowls with ice and water. 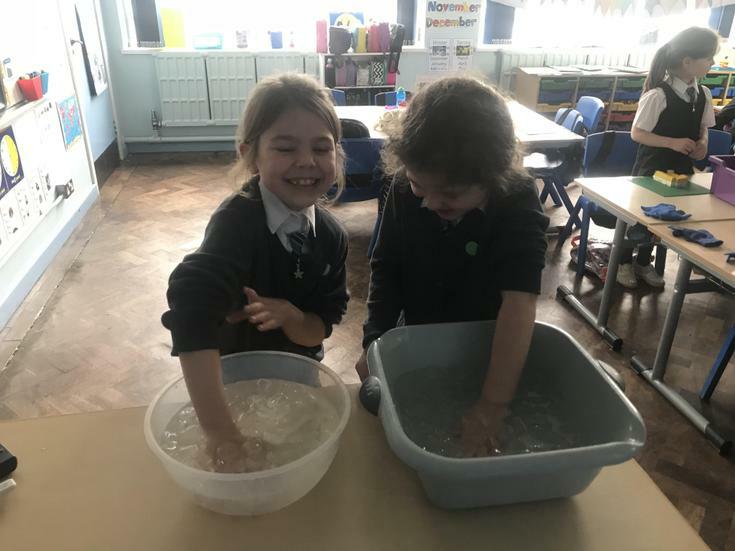 We then plunged our hands into the cold icy water to see how long we could bear the cold. 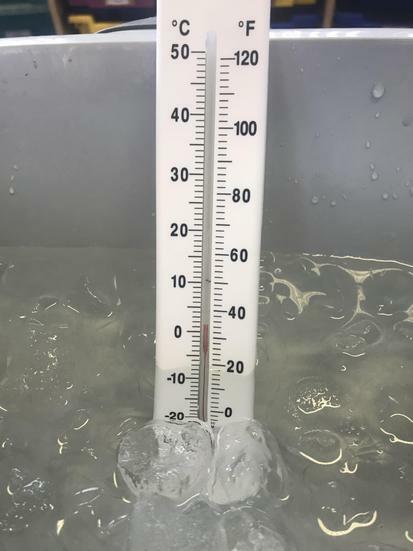 It was very cold!